We have grown a successful junior section, now with over 60 active members, many of whom are breaking in to the adult teams. 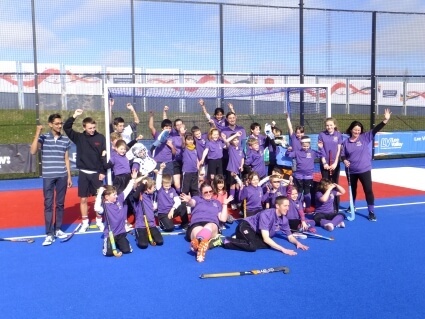 We are a club that emphasises the fun aspects of hockey and we like to run social events such as Christmas and Halloween parties, as well as Parents vs Kids matches and fancy dress days. 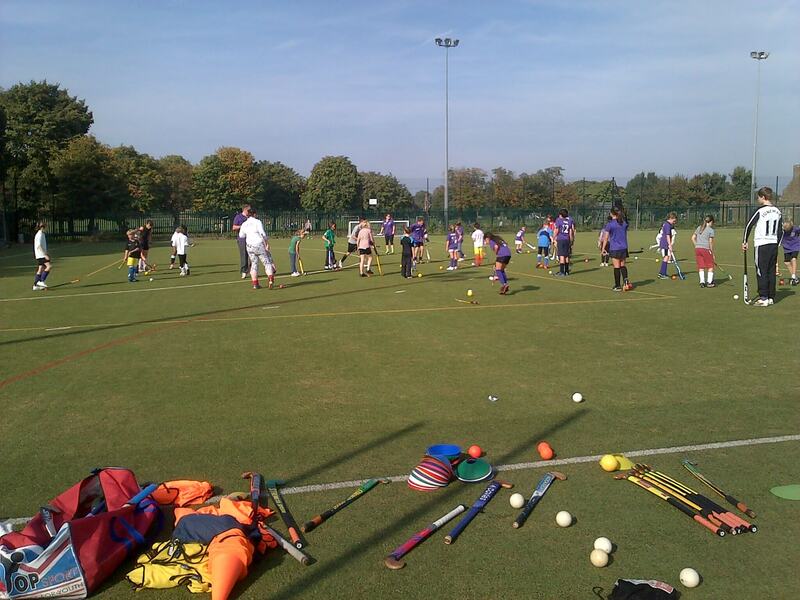 The juniors train on Sunday mornings (10:30 to 12:00) on the astroturf at Southbury Leisure Centre, Southbury Road, Enfield EN1 1YP. 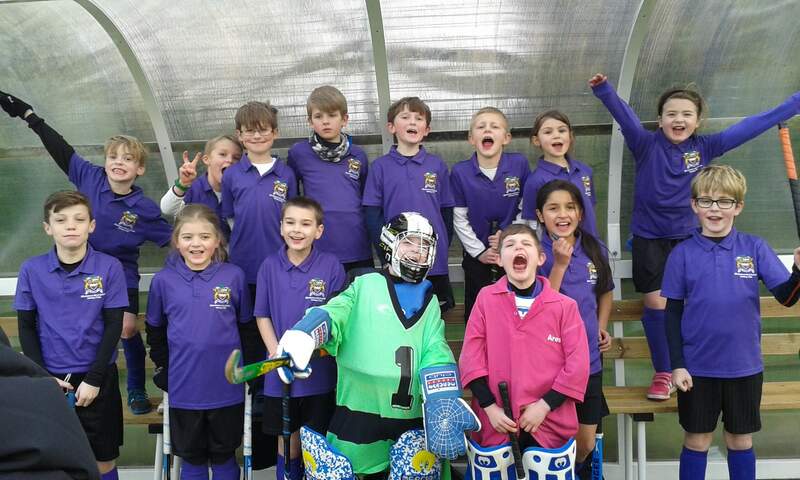 We play in the Hertfordshire junior league each month and this season have fielded teams in the U10, U12 and U14 age groups. 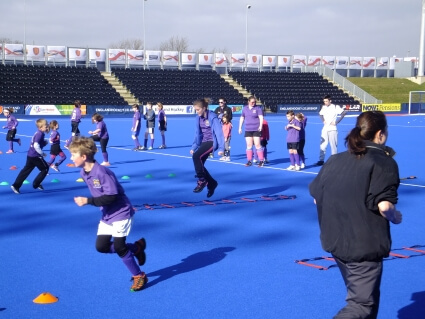 Our coaches are qualified according to England Hockey guidelines and all are DBS checked. 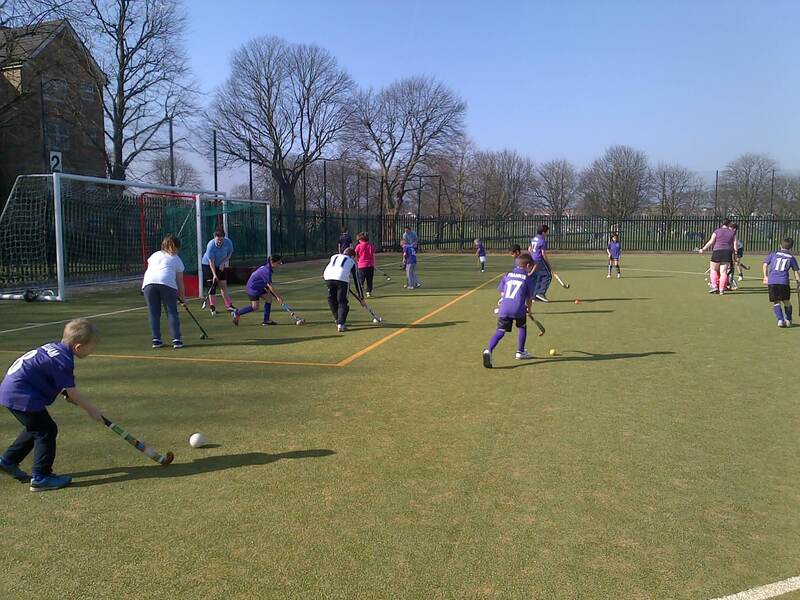 We have not yet confirmed the session dates for next season but if you are interested in joining, contact us through the ‘Join Us’ tab and we will get back to you with the details as soon as they are available. Training sessions will take place come rain or shine and will only be cancelled if the pitch is frozen. 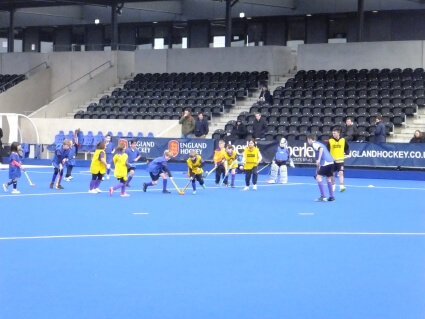 View our Junior Calendar for full details of all sessions and matches. There’s no need to worry about ability or experience, all children from ages 6-16 are welcome. 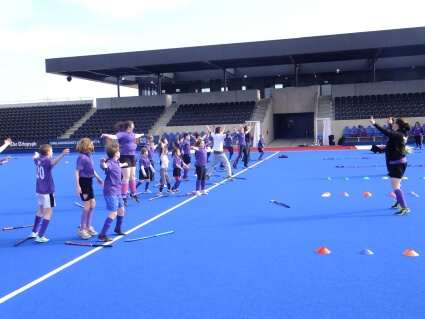 Sessions include skills practice and games with our friendly coaching team, plus matches and tournaments throughout the season. 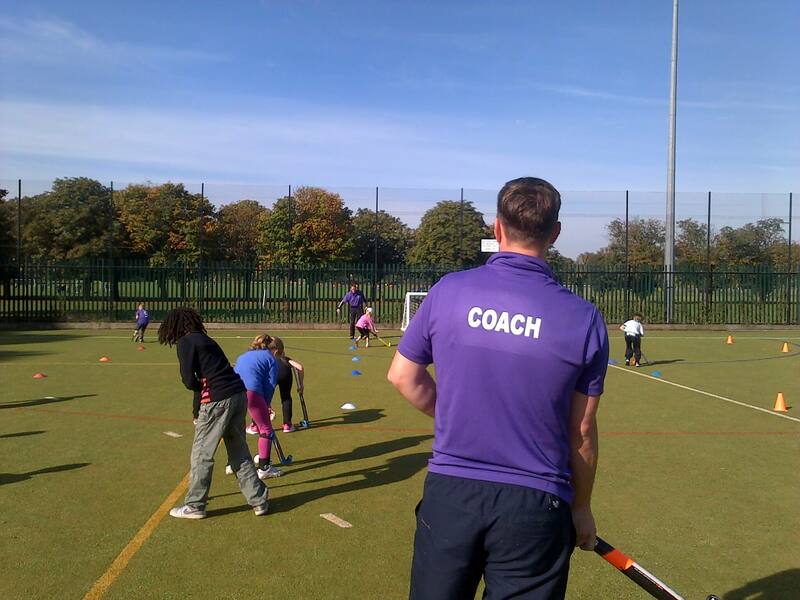 The sessions aim to provide a fun and friendly atmosphere where children can develop hockey expertise and skills as well as teamwork, fitness and good sportsmanship. We provide sticks and balls but you’re welcome to bring along your own stick if you have one. Players should wear comfortable sports gear and trainers or astros but not studs. 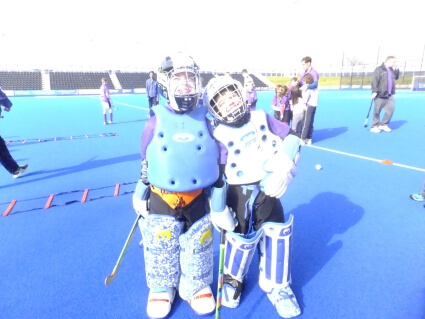 England Hockey require that under 18s wear shin pads and a mouth guard for training and matches. You should also bring along a drink and, as hockey is a winter sport, some spare warm clothing and a waterproof top just in case it rains. All new members will get a few taster sessions free before committing to a full membership. We offer a discounted membership rate for siblings. Please visit our Membership page for prices and details of how to pay. 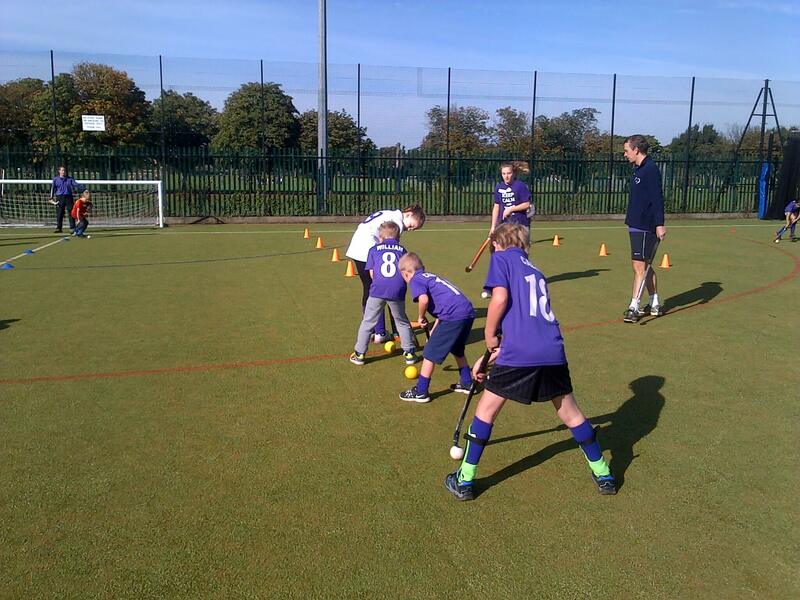 After committing to the club, we encourage junior members to purchase a club shirt and purple socks. These are necessary for our club’s competitive games but can be borrowed if necessary. When playing in competitive games, members should wear black shorts or skorts, shin pads and mouth guards. Please visit our Club Kit page for details of the full kit available. Drop the kids off with us and have an hour and a half to yourself every Sunday morning. With Southbury Leisure Centre on our doorstep, you can enjoy a hot drink in the indoor café or, if you’re feeling energetic, maybe spend some time at the gym. Of course, all parents are welcome to stick around and watch the session – or better still, you can have a go yourself!